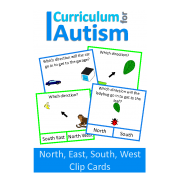 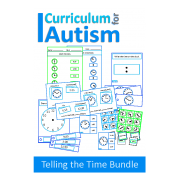 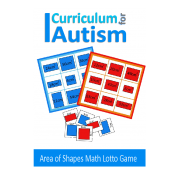 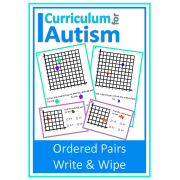 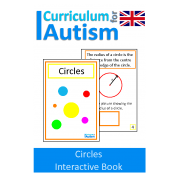 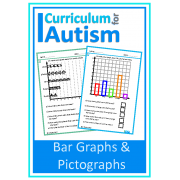 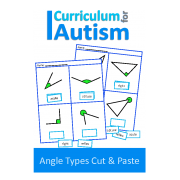 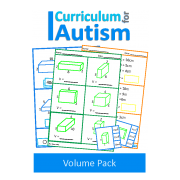 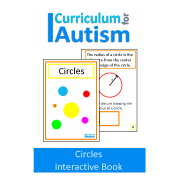 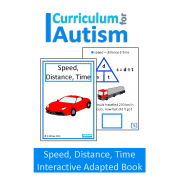 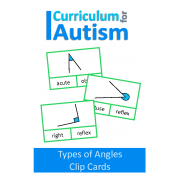 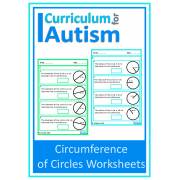 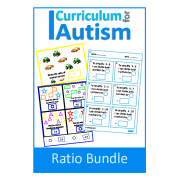 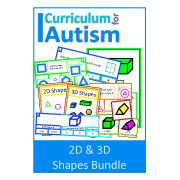 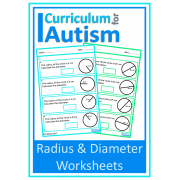 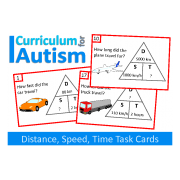 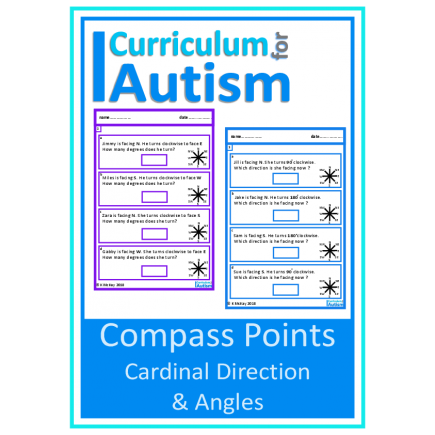 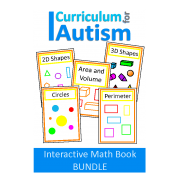 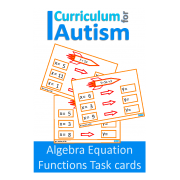 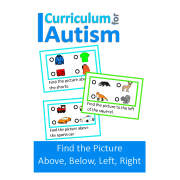 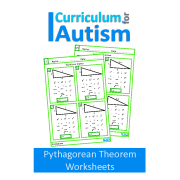 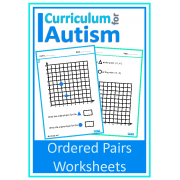 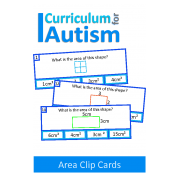 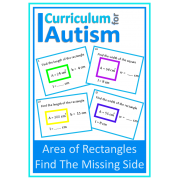 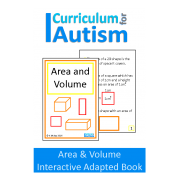 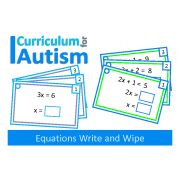 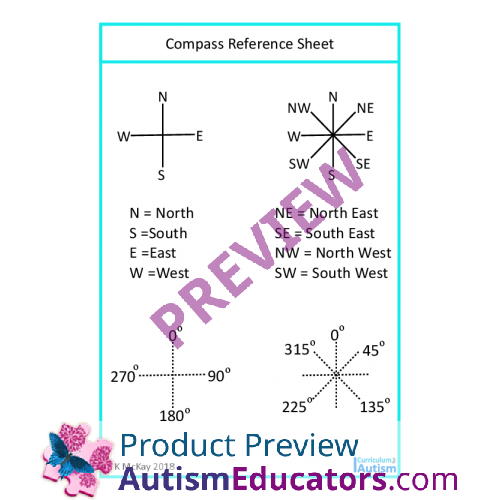 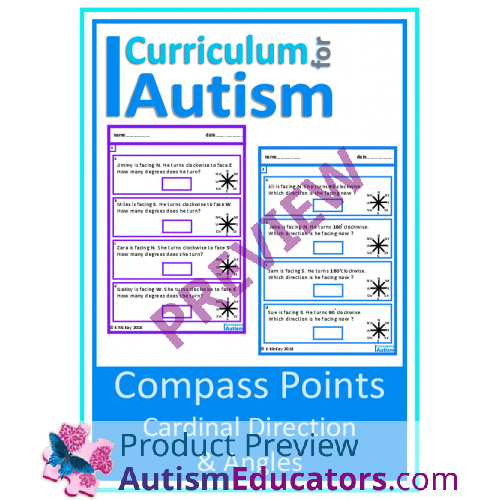 Compass Points worksheets with visuals -naming Cardinal Directions and Angles- for students with autism and special education needs. The pages for the 2 question types are color coded for easy classroom organization (see images). 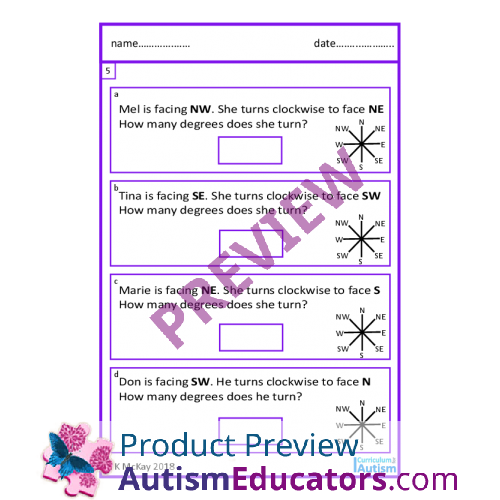 Given a written word problem containing cardinal directions, STUDENT will solve the problem by providing the number of degrees or direction, with 80% accuracy, in 4 out of 5 opportunities, by MONTH, YEAR.